Avid yogis are always seeking out the next best thing to help further their yoga practice. Many natural health practitioners have started to claim that natural gemstones could be the perfect tool. They’re surfacing everywhere in pop culture and top fashion magazines, but what makes them so ideal for yogis? 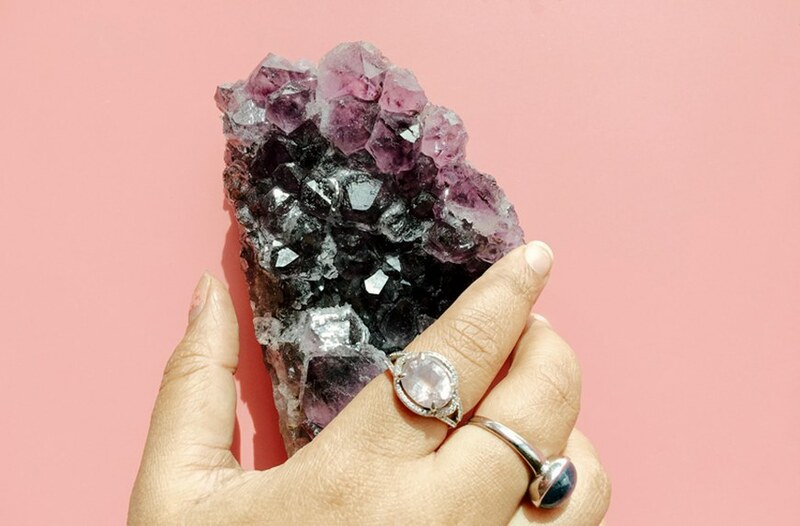 If you’ve ever considered some rose quartz, amethyst, or citrine for your practice, you can find out why these crystals are so helpful in these informative sections below. How Do Natural Crystals Work? Natural crystals are said to release a set of vibrations into the atmosphere. Each type of gemstone has a unique frequency, which is why each one has a different purpose and role. Some are supposed to alleviate physical ailments such as chronic insomnia or indigestion. Others help with emotional needs like increasing your peace or love, for instance. Wearers are encouraged to shop at a natural crystal store before making their very first purchase. Walk through the store and hold up each individual stone. Natural crystal gurus state that you may not be able to physically feel the vibrations each stone gives off, but your body is likely to tell the difference. This can help you decide which stone has the most to offer to you at any given time. How Does It Help Your Yoga? A natural crystal necklace may not help you to achieve a more balanced headstand, but it can actually deepen your practice. Yogis who adhere to more traditional philosophy will likely experience more of these unique benefits. Consider what type of intention you regularly set for your yoga practice. 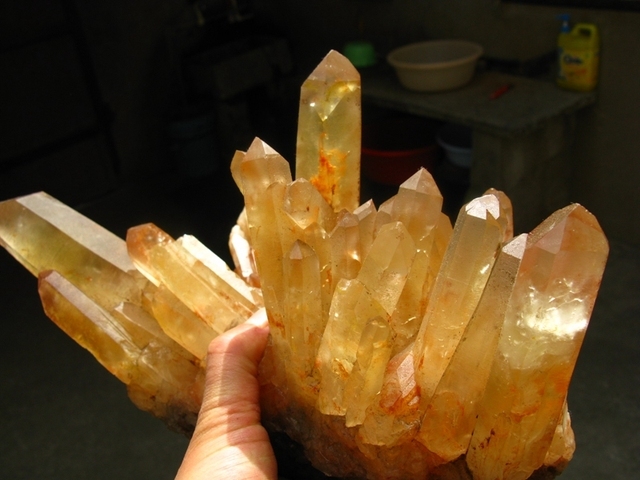 This is ultimately what will influence the type of natural crystal that you should purchase. Do you aim to be more mindful of your speech with others? Maybe you try to avoid anxiety and focus on the present moment. Some yogis may even aim to attract more love into their daily life, through romance or deeper friendships. If you have on the right natural gemstone, you may be able to help encourage those things to come to pass in your daily life. The frequency of the crystal may help you to attract the right types of energy into your life, no matter what your intention is specifically. However, it also gives you a physical reminder of your intention throughout the day. You can wear these natural crystals even when you aren’t on the yoga mat. Seeing a rose quartz bracelet during your workday may be a clear reminder that you need to have more loving intentions toward others. It’s a great and fashionable way to remind yourself that your yoga practice should extend beyond the boundaries of the mat. Remember that a natural crystal shouldn’t be a substitute for medical attention when it comes to major issues. They can be useful tools to help supplement a yoga practice and bring your intentions to life. Take some time to research which types of stones will align with your practice, or browse through a local shop this weekend. You’ll find your favorite new accessory that actually serves a very useful purpose. Yoga pants all day long? Yes, please. Girls are made for style, right? Even though I’m not your typical girly girl, I have always loved style (as in styling myself, others or other things for that matter – apartments, work spaces, cars, patios, etc.). But my style has not always conformed to the norm. For this article, we can call it ‘out there.’ But there are always ways to edit it down (or up, if you prefer). I like the style that is comfortable, yet chic. But nothing really beats comfort. So, I try to opt for natural textiles. I think yoga pants are a must-have in any girl’s wardrobe and there is no such thing as having too many. They are so versatile that you can combine them with pretty much anything and dress them up or down. Also, there are no pants that feel as comfortable on as yoga pants. With some pumps or espadrilles in the summer for a more relaxed vibe, or booties during winter. Wearing your hair up also lets the dress shine through. To additionally elevate the look, you should pair it with the right number of accessories (my motto is the more the merrier). There you have a great first date outfit, or you’re ready for a casual meeting; possibly just a coffee shop or grocery haul outing. Tunics call for a more bohemian look. So to elevate the free vibe, I would then also style my hair with a band, let my hair down and pretend I’m in the 70s. And you look athletically chic. Now you’re ready to tackle your most demanding fitness practice or rock the look on your walk through the city. This would even work for more serious occasions. To keep your legs warm, because its either winter or early in the morning when it’s still crisp out. I also like zippers on the side, as you can easily pair those pants in any of the above-mentioned combinations and rock the look. Zippers look like jewelry, which I also like wearing, but feels rather distracting when worn in some of the fitness classes. So, zippers are an easy undercover way to sneak in some bling. You might be a little (or a lot) crazy like me, and find inspiration for your outfits in things you encounter or foods you eat. So, take coconut for example; they boast their rich texture, being hard and fuzzy on the outside and soft and creamy on the inside. The other layer gives me inspiration for winter time outfits, which might be something like a black pair of yoga pants with leather inserts, and a faux fur blazer layered over a plain white long sleeve T-shirt. Paired with a fuzzy pair of boots or rain wellies, you’re good to head out the door to your yoga class. Or if your work is more of a freelance type, you could style the ensemble with a fedora hat, some jewelry and rock your workday at the office. While summer coconut inspired outfit would look something like a pair of white, or lighter tone, yoga pants, paired with equally light toned tunic top and gladiator sandals or barefoot (for those hippies like myself), a big straw hat and jewelry made of rope resembling the sailing vibes. A natural darker tone of sports bra will bring some opposing tones to the ensemble, and make your sun-kissed skin glow at your next yoga class. You’re equally good to rock the summer party where they are sure to serve some coconut infused mouthwatering drinks. You might be more color-adventurous then I am, and I would love to hear back from you where you find inspiration for dressing up your yoga pants. You’ve had a rough day. Work was crazy and your boss demanding. Once at home, you have to run the kids here and there, bills need to be paid, laundry done, dinner cooked the list goes on and on. Exhaustion is the inevitable outcome of running at full throttle in this modern life. As we race to succeed or just survive, our mental state is crushed under the stress and strain. There a long list of self-destructive things people turn to for relief. There is a better way. Yoga is a great way to manage stress. Yogic breathing is an integral part of how yoga reduces stress. Through rhythmic, deep breaths which are held and released for short or long counts, a relaxation response is triggered, causing stress hormones to be reduced, blood pressure to drop and endorphins are released that give a pleasurable feeling. There are yoga poses that are better at inducing this state of relaxation and relief from stress than others. This is a list of a few with a description of how to perform each one. Child’s pose is done by coming down onto all fours, with fingers pointing straight ahead and knees spread a bit further apart than hip width. Touch your big toes together on the floor behind you as your feet point back away from you. Slowly sit back on your heels, letting your chest drop down between your knees toward the floor. Stretch your arms out in front of you, dropping your shoulders away from your ears. Let your forehead rest on the floor between your arms. Stay in this pose as you breath slowly for a few minutes. This pose is very restful and relaxing and a great way to take a break. In standing forward bend, ground the feet, stretching out the toes. Relax your body as you stand tall and lengthen your spine up to the crown of your head. Inhale and exhale. As you exhale, bend forward and touch the ground with your hands, bring the palms to rest on the ground beside your feet. Bend your knees slightly to soften your stance and to assist you with putting your palms down. Continue to breath, going deeper into the stretch with each exhale. Allow your shoulders, neck, and head to relax and dangle. This pose is great for reducing stress. It may even help your blood pressure. In this pose, you can let go and feel tension pull away. In this pose you begin by standing with your feet grounded and your spine tall. Draw your left arm in a right angle in front of you with your fingers pointing to the ceiling. Next, bring your right arm under and up, then twisting around so that your palms meet. Then, on your left leg, sit back. Draw your right leg up and cross it over your left. Tuck your foot behind your calf and hold this pose as you continue to breath in and out. Hold this for several full breaths. Then release. Repeat on the other side. These are three of my favorite poses that have helped me with my stress levels. Practice them often and they will help bring your stress under control. The nice thing is, they can be performed almost anywhere at any time. Just take a moment to yourself and find out how well yoga can manage stress for you. There is no doubt that yoga can be enhanced by using music. There are numerous benefits that can be drawn from this. However, this may not always be the case, especially when the music used is loud and it contains lyrics. Here are five reasons why loud music can be detrimental to your yoga practice. This can happen in many ways. First, when a teacher offers music based purely on his or her taste, it imposes his or her flavor on others. This can negatively affect those who attended a class to relax and meditate. Secondly, it is hard to ignore the lyrics in loud music. One way or another, you will hear the words. This can keep a practitioner from concentrating or maintaining a meditative state. Music on its own can stimulate the brain in a way that no other medium can. Listening to music opens emotional and auditory faculties. When this is combined with the lyrics in a song, concentrating or focusing can be very difficult. Now add the loud volume of a song to it and the situation becomes almost chaotic. Even conducting studies in a noisy environment has the same effect. It is impossible to concentrate. It is also important to note that the use of music in yoga is a contemporary aspect of yoga. Traditional yoga tutors never used music. This is because silence was valued as a major factor in achieving a meditative state. When the lyrics are loud, and there are loud drums and guitars in a song, concentration can be impossible. It is a known fact that suggestion in hypnotherapy can have the strong effect of altering someone’s behavior. This is the principle that Hypnotherapists use to control people’s mind. It is very easy to get affected by these suggestions when meditating. Yoga creates the opportunity to be in this meditative state. This means that it is possible to control people’s behavior by using suggestive lyrics during a yoga practice. Since everyone is in silence, there is no way of escaping what is being said. Suggestive lyrics can easily embed commands in a person’s brain. It is necessary to have constant communication between the teacher and the trainees during a yoga class. However, when the music is loud, it can be hard to hear what the teacher is saying. This can be considered an unnecessary distraction. One should not strain to hear the teacher since it breaks the flow in the motions. While calm music has the effect of calming nerves and emotions, loud music has the potential of doing the exact opposite. Loud music introduces stress and overstimulates the brain. This is followed by increased adrenaline and cortisol in the blood stream. All these have a very different effect from what yoga is intended to achieve. In fact, loud music at certain levels can damage your ears and it is unhealthy. You have probably noticed amazing yogi photos on social networking sites where a padded wheel with size a bit bigger than regular pizza was used as a prop. This fancy thing is called the Yoga Dharma Wheel. The prototype was invented by Sri Dharma Mittra, founder of the Dharma Yoga practice, and was later on developed by his son Yogi Varuna collaborating with Raquel Vamos. The Yoga Dharma Wheel is still continuing to conquer the market with its amazing uses today. This innovation in the yoga tech allows beginners to safely approach backbends while still developing the strength, flexibility and courage needed to fully approach the posture. It helps seasoned Yogis to dive deeper into their backbends and understand the posture further. The Yoga Dharma Wheels allows creativity to take place while increasing the body’s mobility and overall strength. Here are some Yoga postures that you can recreate with the Yoga Dharma Wheel to add more fun to your practice. Remember to listen to your body and don’t force any postures that feels unnatural or it may cause harm. Please proceed with caution or preferably under the supervision of an experienced Yoga teacher. Roll and relax. Lay your back on the wheel and gently roll back and forth. Once you feel calmer, allow your body to fully rest on the wheel. Do not tense any muscle in the body. You can also bend your knees if you desire. Keep the wheel rolling till you feel fully relieved of any tension. Open your shoulders. Placing the wheel on your higher beck will help make this posture easier. Extend your arms up and bend the elbows, reaching over the wheel. Bend your knees and plant your feet on the ground to aid you with pushing the body forward. Inhale, allow your chest to be fully filled with air and exhale, push forward using your feet, extending the arms a bit deeper, creating space on the shoulders. Hold the pose for 3-5 breaths. Shoulder Stand. Allow your head and shoulder to rest on the ground while lying. Place your Dharma Yoga Wheel on your lower back and extend both your legs up. You can use your hand to support the wheel and avoid it form slipping. Kapotasana. This variation of the posture will allow your psoas and hip flexors to open. Start with your knees on the floor (virasana/ hero pose) and place the wheel on your lower back near the foundations of your spine. Lie on the ground and place your hands in prayer. Gently push through your feet and knees while extending your hands towards the floor. Allow your back to totally drape on the wheel and avoid tensing your back. Staying in this posture for 3-5 breaths will help release any stress on the back, neck and shoulders. The Yoga Dharma Wheel was a magnificent innovation that took Yoga practice to a whole new level. Always move with consciousness. Seek your doctor’s advice before starting your journey into Yoga or before incorporating the wheel into your practice. Listen to what your body is/isn’t capable of and always practice with good intention and self-awareness. To get your very own Dharma Yoga Wheel, click here!